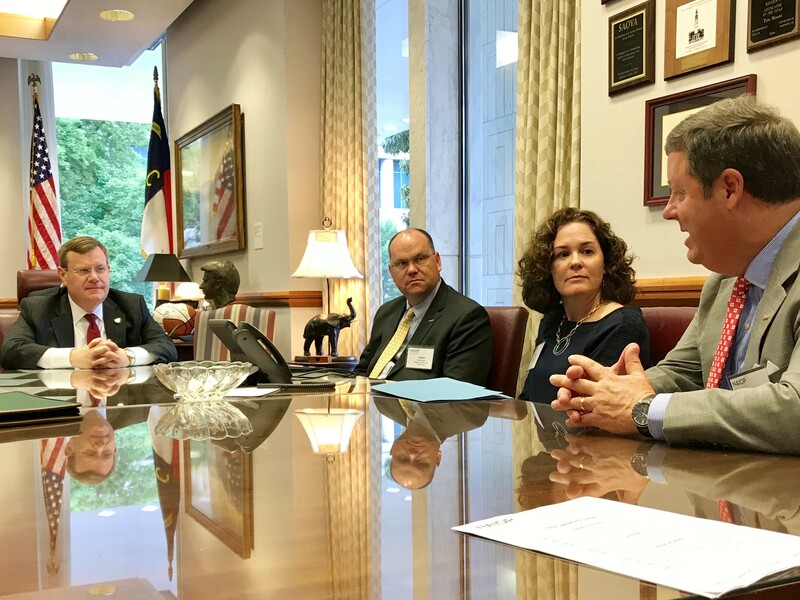 On May 30, 2018, the three chapters of NAIOP North Carolina, visited capitol hill to advocate. 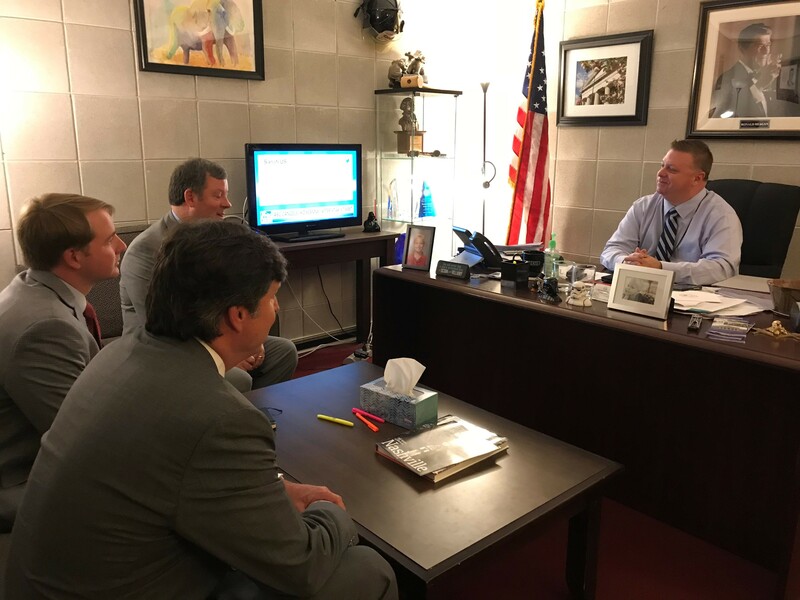 A special thanks to Jason Moore (Charlotte Legislative Committee Chair) and Joe Padilla (REBIC) for helping coordinate visits with legislators to speak about the commercial real estate perspective. While this is a short session (this means the time of the session is short, but also that new legislation cannot be introduced), it is of critical importance the state senators and representatives know who NAIOP is and what we represent. NAIOP's legislative team is committed to keeping you informed throughout this historic tax reform legislative process with progress updates and what the legislation means for the commercial real estate development industry. The Senate has taken a significant step toward achieving comprehensive tax reform by passing its version of the Tax Cuts and Jobs Act. This week, the House and Senate will meet in conference to iron out the differences between the two versions. Maintaining Section 1031 like-kind exchanges for real estate. Maintaining the deductibility of interest on debt for those involved in real property trades or businesses, including CRE development. Preserving capital gains tax treatment of carried interest for real estate practitioners, but requiring that assets be held for three years or more. Senate amendments that would have eliminated capital gains treatment for carried interests completely were defeated. Reducing corporate tax rates to 20 percent from the current 35 percent, not taking effect until 2019 in the Senate proposal. Limiting state and local taxes deductions to property tax and capping it at $10,000; the original Senate proposal would have eliminated it completely. Doubling the estate and gift tax exemption levels (with inflation adjustments) from the current $5.49 million for individuals or $10.98 million for married couples. The Senate version would not completely repeal the estate tax; the House version phases it out entirely by 2024. 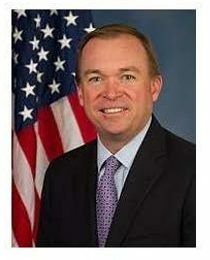 Join REBIC for an exclusive conversation with Mick Mulvaney (Director of the White House, Office of Management and Budget and Consumer Financial Protection Bureau), who will discuss the President’s vision for federal Tax and Regulatory Reform, and how it will impact the Real Estate Industry. Cost is $25, breakfast will be served. Last Thursday, the Senate Finance Committee released draft tax reform legislation that they will move through committee later this week. The Senate bill was released after the House Ways and Means Committee passed its version of tax reform earlier that day. The Senate draft differs in some aspects from the initial House version, which NAIOP President and CEO Thomas Bisacquino detailed last week in terms of its impact on the commercial real estate industry. Overall, both bills continue taxing commercial real estate development and investment on an economic basis, recognizing the long-term, capital-intensive nature of the industry. House leaders took a significant step forward with tax reform efforts on Thursday with the release of the Tax Cuts and Jobs Act, H.R.1, which includes an expansive set of proposed changes to the corporate and individual tax system. Section 1031 like-kind exchanges are preserved for real estate. Current tax treatment of carried interest is preserved. Deductibility of interest on debt is maintained for those involved in real property trades or businesses, including commercial real estate development. Current eight individual tax brackets are condensed into four brackets: 12 percent, 25 percent, 35 percent and 39.6 percent. The top rate of 39.6 percent would apply to income levels of more than $500,000 for an individual and $1 million for couples. Corporate tax rates are reduced from the current 35 percent to 20 percent. Pass-through businesses (such as partnerships and limited liability companies) will pay a new, lower top rate of 25 percent on their business income, subject to certain restrictions. Estate tax threshold is doubled (from the current $11.2 million for married couples), and phased out entirely by 2024. The step-up in cost basis on assets is retained. Deduction for state and local taxes limited only to property tax and capped at $10,000. (Currently, state and local income and sales taxes can also be deducted.). The Historic Preservation Tax Credit and New Markets Tax Credit are discontinued, with transition periods provided. As legislation moves forward in the House and Senate, NAIOP will advocate for the continuation of these important incentives. Starting next Monday, the House Ways & Means Committee will begin marking up the legislation. The president has expressed his desire to accelerate tax reform and sign a bill before the end of the year. Below are some details on the recently released Unified Framework for Fixing Our Broken Tax Code, in which the Trump administration and congressional Republican leadership have outlined chief areas of agreement for tax reform legislation. Reduction of the number of tax brackets from seven to three: 12, 25 and 35 percent, leaving open the possibility of an additional higher bracket for the highest-income taxpayers to ensure the share of taxes paid by the wealthy remain the same. Reduction of corporate tax rates to a maximum of 20 percent, down from the current rate of 35 percent. A top rate of 25 percent applied to the business income of small and family-owned businesses conducted as sole proprietorships, partnerships and S corporations (pass-through entities). The framework contemplates that the committees will adopt measures to prevent any recharacterization of personal income taxed at ordinary rates into business income taxed at the lower pass-through rate, done solely for purposes of avoiding taxation. Immediate expensing for new investments in capital assets, not to include structures, but leaving open the possibility for increased expensing for small businesses and modernizing current depreciation schedules for assets not provided immediate expensing. Partial limitation for deductibility of interest expenses for C corporations, asking the committees to consider the appropriate levels of deductibility for other types of businesses. We believe that these provisions will spur stronger economic growth and job creation, benefitting our industry in the long term, but many questions remain unanswered. Lawmakers in the House and Senate say they’re determined to pass a sweeping tax reform bill this year. But first, for procedural reasons, both houses need to pass a Fiscal Year 2018 budget. FY 2018 began on October 1. Republicans on the Senate Budget Committee released a draft budget that it says would balance within nine years. But committee members haven’t explained where they would find $5 trillion in spending cuts. That draft budget will be voted on by the full Budget Committee this week, then go to the floor of the Senate later this month. The House drafted a budget plan over the summer and plans to hold a vote on Thursday. After the two chambers come to an agreement on budgetary spending levels, lawmakers would be able to turn to tax reform, which is a key priority for NAIOP. Throughout the year, NAIOP has met with lawmakers and Hill staffers to deliver the message that all federal spending and tax reform bills should protect the interests of the CRE industry. After months of discussions behind closed doors, a group of six policymakers is scheduled to pull back the shades this week – perhaps as soon as Tuesday – and put out an outline for comprehensive tax reform. After the outline is released, “the tax-writing committees are going to take feedback and input, and then they’re going to go produce their bills in the weeks ahead,” House Speaker Paul Ryan says. 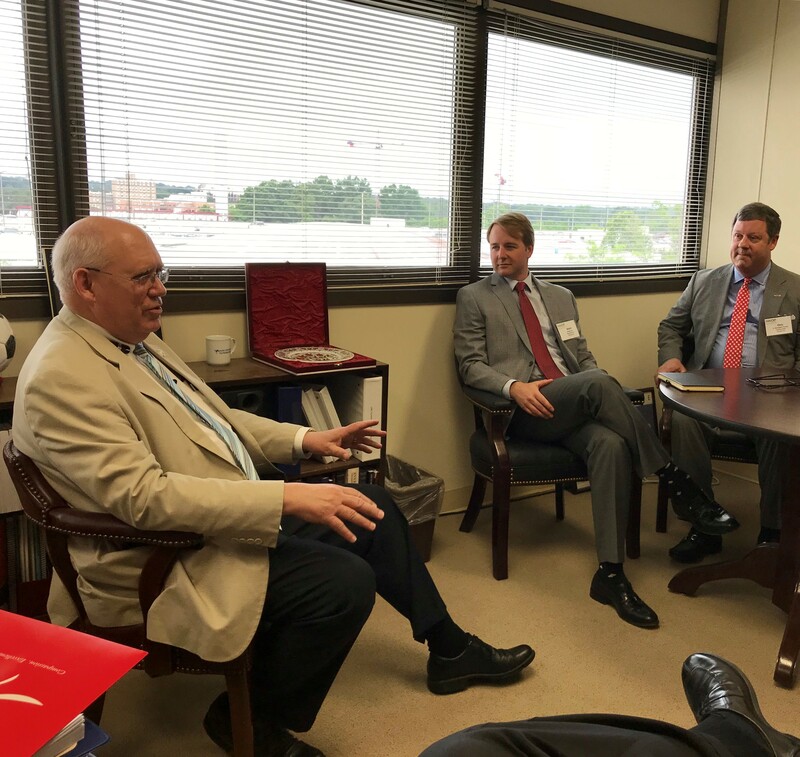 NAIOP’s legislative team has been working ahead of the process, meeting with lawmakers and their staff members throughout the year. NAIOP has emphasized that spending and tax reform bills should protect the interests of the CRE industry. That includes maintaining Section 1031 like-kind exchanges, protecting the deductibility of interest payments on financing and taxing real estate carried interest as capital gains instead of ordinary income. Last week the Senate Finance Committee held a hearing on the importance of corporate tax reform. “Our current business tax system and the disparity between the U.S. corporate rate and our foreign competitors’ corporate rates has created a number of problems and distortions,” Senate Finance Committee Chair Orrin Hatch said. Lawmakers are focusing their attention on tax reform this month. The Senate Finance Committee will hold a hearing this week to collect testimony about business tax reform proposals. That follows a similar session last week to discuss individual reform. For his part, House Speaker Paul Ryan promises to release details of a tax reform plan by September 25. “The outline will represent a consensus between the two tax-writing committees in Congress, the House Ways and Means Committee and the Senate Finance Committee, and the Trump administration,” Bloomberg reported. President Donald Trump says the final tax measure should draw bipartisan support, and he’s met with leading Democrats including Sen. Charles Schumer and House Minority Leader Nancy Pelosi to discuss taxes and other issues. “More and more, we’re trying to work things out together,” Trump said during a meeting with moderates from both parties. With 24/7 coverage of ongoing global events dominating the news cycle, it's easy to lose sight of what's happening with U.S. legislation critical to our industry. Tax reform negotiations are imminent: House Speaker Paul Ryan has promised to release an outline of a tax reform plan the week of September 25, followed by negotiations between the House, Senate, and administration.